In addition to the daily treatments with our therapist team, you have the opportunity to deepen your spiritual experience through regular yoga. 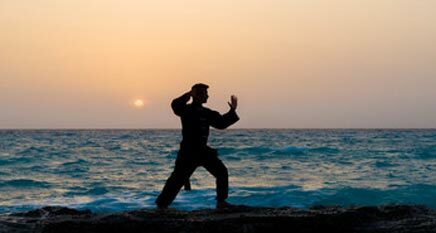 The "inner martial arts" strengthens the body, prevents diseases and enables self-defense. Tai Chi has its roots in traditional Chinese medicine. In our resorts you can experience the healing effects music has on your mind, soul and body. Yala National Park is Sri Lanka’s most famous national park, best known for its pronounced biodiversity: In addition to crocodiles. The Udawalawe National Park is situated just south of the central highlands and shows the visitors exotic animals in the wild. The reservoir. The turtle farm in Kosgoda is one of the oldest farms in Sri Lanka. Since 1979, the conservation of the endangered sea turtles has been supported by the state conservation agency. Sigirya is one of the most significant monuments of Sri Lanka. It is referred to as the eighth wonder of the world by the locals. 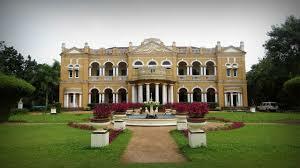 The mansion near Kalutera, built at the turn-of-the-century, is considered one of Sri Lanka's most spectacular architectural works. Meetiyagoda is the only Moonstone mine in the world. Here you can experience the extraction of moonstone. The tour includes the sightseeing of rice fields, coconut, rubber and tea plantations and an impressive stop over at the waterfalls. The boat trip on the Madu River combines beautiful nature, biodiversity and cultural attractions. Your boat tour starts in the early hours of the morning. The Sinhalese architect Geoffrey Bawa spent over 40 years transforming an abandoned rubber estate into a tropical idill. 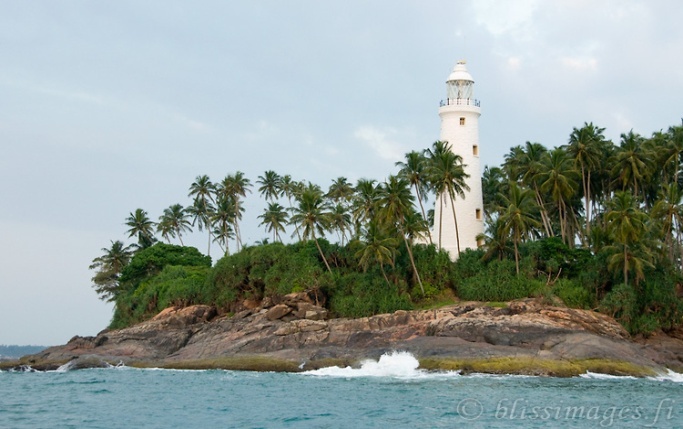 The former small fishing village of Beruwela is known nationwide for its fine sandy beaches, crystal clear water and the palm-fringed white lighthouse. Kataragama is the most holy place of pilgrimage in the south of Sri Lanka. The name Katargama comes from the God worshiped here. Here, four different ethnic and religious groups. Kandy - a big city in the central mountains of Sri Lanka. The main attraction of this city is the Temple of the Tooth (Sri Dalada Maligawa), which is said to house one of Buddha’s tooth from the 4th century. The main attraction of this excursion is the temple complex "Gangatilaka Vihara“. In the center this temple has the only accessible Dagoba in Sri Lanka. Built by the Dutch in 1663, Galle Fortress is a World Heritage Site. It is the largest preserved European fortress in South Asia and embodies the successful combination of European and Asian architecture. The local fish market takes place Every morning on the shores of Beruwela. Local fish like sharks, rays, red snapper, tuna or crustaceans are sold at the market stalls, directly from the sea. The small town near the popular tourist destination Sigiriya offers lots of tourist attractions. The largest temple complex in the country has about 80 cave temples and a total of 153 Buddha statues. The former residence of the sculptor Bevis Bawa - Geoffrey Bawa's brother - has been opening its doors to nature-loving visitors since 2006. In this beautiful shopping city you can find the longest lying Buddha statue in Asia (about 50 m/164ft), painted in bright colors, and attracts both locals and tourists. 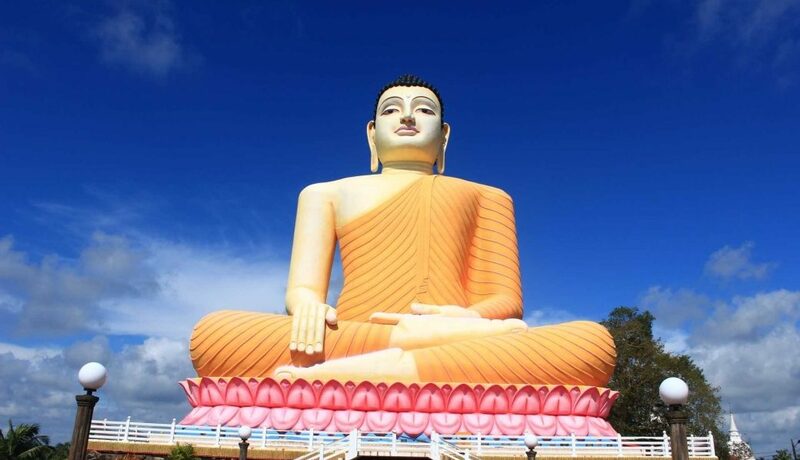 In the small town of Aluthgama the energy of Buddha seems to be omnipresent. The city is not only important because of its location near the holy mountain.